Development Squad’s Chloe Currie carded a 3-over-par 75 in the final round of the Investors Group Ontario Women’s Amateur finish T5 at 9 over par at Galt Country Club in Cambridge, Ont. The Mississauga, Ont., had had three birdie, and six bogeys to finish 10 shots back Kesley Sear from Unionville, Ont., who won at 2 over par. Sear carded a 2-over-par 70 in Friday’s final round, the lowest score of the day. 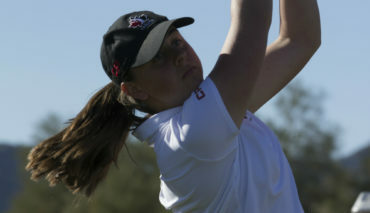 Madeline Marck-Sherk from Ridgeway, Ont., was second at 3 over par after a final round 71 (-1). Another Mississauga resident Michelle Ruiz was third at 9 over par. Maple, Ont., native Alyssa DiMarcantonio was fourth 10 over par. Rounding out the top-five was Mitchell, Ont., native Courtney Tolton who was T5 with Currie at 12 over par. 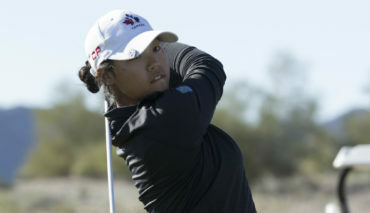 Currie’s Development Squad teammate Monet Chun is T32 at 27 over par – carding an 11 over par 83 in round three.